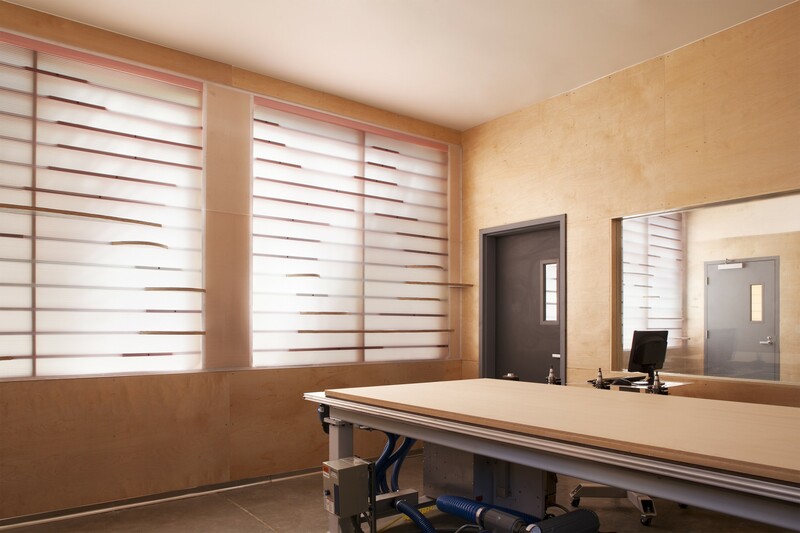 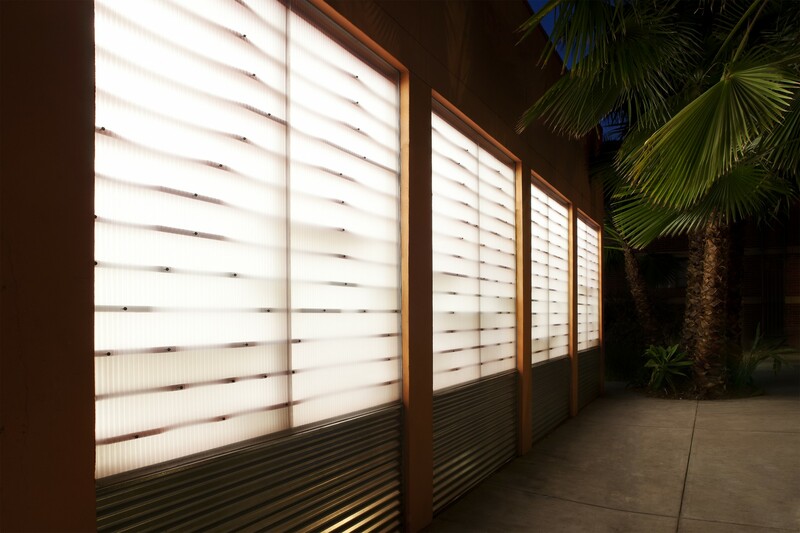 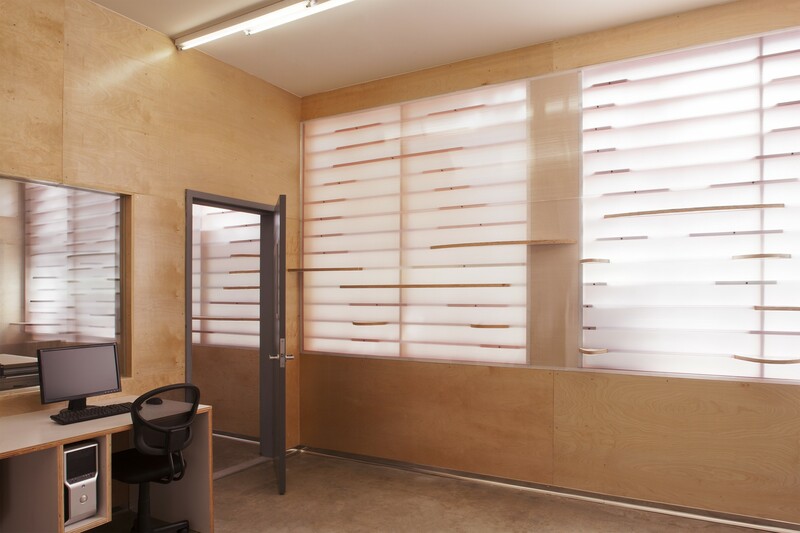 The Fabrication Lab for the Woodbury University School of Architecture was created by enclosing an existing loggia with a series of louvered translucent panels. 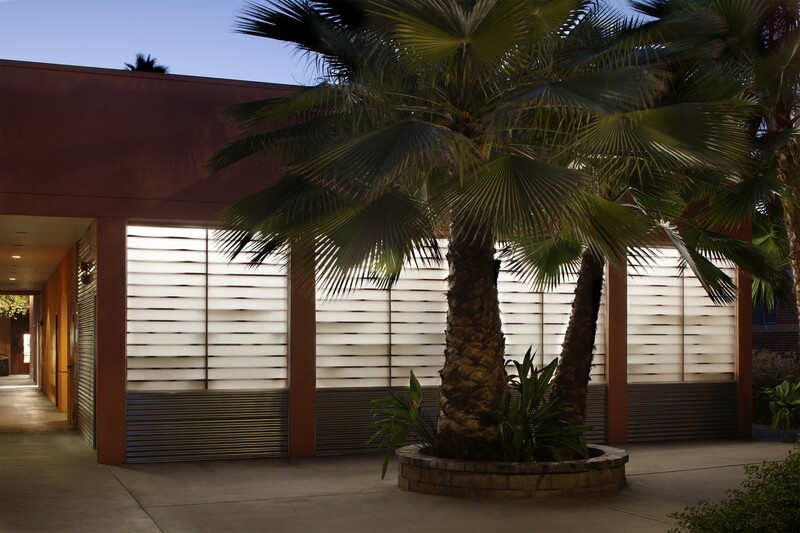 The louvers, set within the body of the panels, were painted a gradient set of colors to match the existing stucco and cut away with a series of computationally defined arcs to create varying patterns of light and shadow. 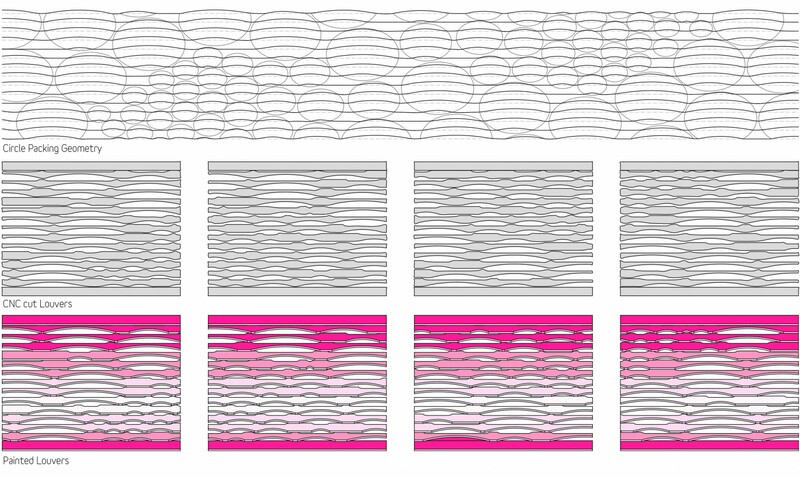 To infuse the architectural identity of the facility with the CNC milled surfaces being fabricated inside, a circle packing algorithm was used to transform a smooth digital surface into a pattern of varying arcs to be carved out of the louvers. 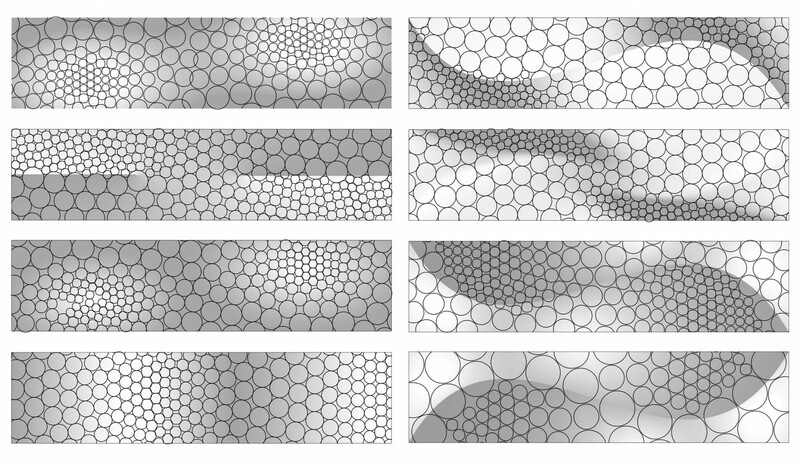 As the angle of sun or artificial light shifts, resulting sunlit gaps coalesce into a coherent pattern of smoothly varying discs before dispersing back into randomness.